As we enter another Advent season time we pray that you are joining with us in preparing for celebrating His birth and its meaning for us all. We hope that your year has gone well. For the Henn family it has been a year of mixed emotions. Werner’s Mother is finally at peace, without pain or discomfort. She passed away on January 30th, on their 72nd Wedding Anniversary. Her family was with her and misses her very much. She has been interred here in Bellevue in our church’s Memorial Garden. 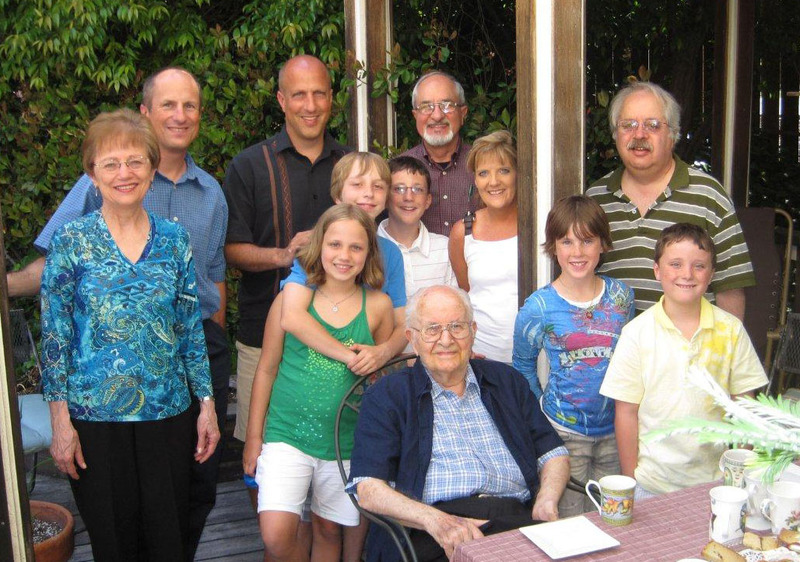 In May we traveled to Dad’s last pastorate in Clayton Valley, CA, where we celebrated Mom’s life. It was also an opportunity for the whole Henn family to reunite and enjoy a short time together with excursions to the top of Mt Diablo and a daylong tourist trip to San Francisco. It was great that all of the grandchildren could be together. It was also time for us to renew our friendship with Thomasina’s sister Micheline and her family. Dad, despite ill health, enjoyed and relished being back together with his friends from the Clayton Valley church. He is doing well now and remains as active as he can within the retirement home. We all are looking forward to Ralph joining us for Christmas. We enjoyed a couple of local excursions during the year, seeing some local scenery that we had not seen before. The first was a visit to the Olympic Peninsula, seeing Hurricane Ridge and hiking in the Hoh Rain Forest. Carol’s brother Tim and his wife De Etta also came this fall and we viewed the beautiful Mt Baker area as well as a ferry ride to Vancouver Island, visiting Butchart Gardens and Victoria. The fall colors and flowers were fantastic. Our long distance trip this year was to visit Brian, Tyler and Alyssa over Labor Day. We enjoyed a day trip to Callaway Gardens, local school events, and activities with the grandkids. Mark and his family continue to live in the Tucson area, keeping busy with their many activities. We hope to visit them early next year. We also enjoyed a couple of visits from George and his wife Li (our Chinese cousins). Carol’s cousin, Carla and her husband John from Montana also visited this fall. We have not seen her since our wedding, 48 years ago. To view pictures and blogs of our activities, see our website: www.FamilyHenn.com. Carol and I continue to enjoy our musical pursuits. We again sang with Seattle Pro Music for their winter concert. The highlight was the Frank Martin Mass for Double Choir. Our other music enjoyment continues to be our regular singing in our church choir. Last May we sang two performances of Haydn’s Creation to full houses. We also sing with the Ensemble, a smaller group of 30 singers from the Chancel Choir. This group sings challenging selections from across the centuries. Carol continues to play the piano for our enjoyment. Werner took a soccer fling to help with the Referee Staff at the US Regionals in Albuquerque in June. It was a great opportunity to meet the many people that he has been working with from afar for the past ten years. He did experience a minor accident while there, having a “violent separation from a golf cart” that he is still recovering from. It did provide a moderate amount of entertainment for the referee contingent at the meeting that night.